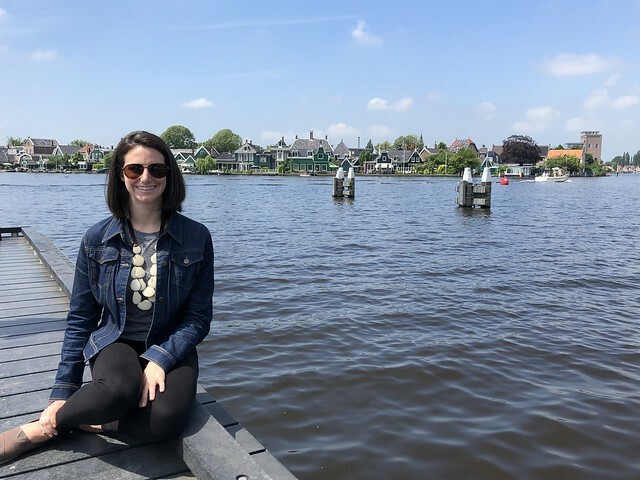 Since our trip to Amsterdam was so short, we wanted to make sure we got a good taste of the modern city, but also got to experience some of the smaller villages in the Netherlands countryside. 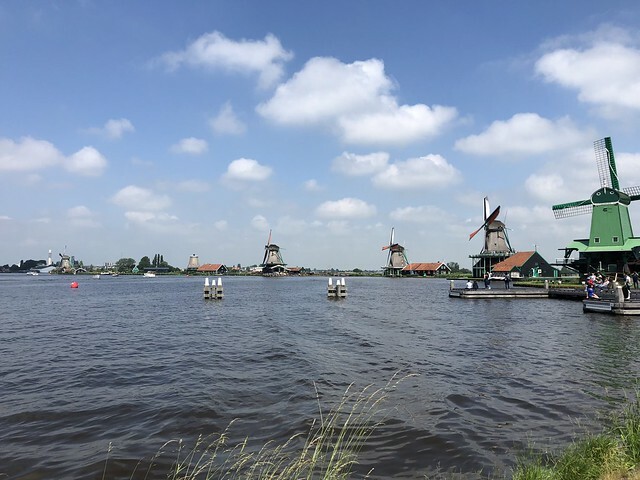 So we booked ourselves a day trip that took us to see a clog-making shop, a cheese factory and of course, windmills. Organized tours can be pretty hit or miss, but our morning tour guides were hilarious and amazing. The bus driver kept a keyboard on the bus and would play music and sing while people were boarding. The tour guide had a ukulele that he would serenade us with in between stops. 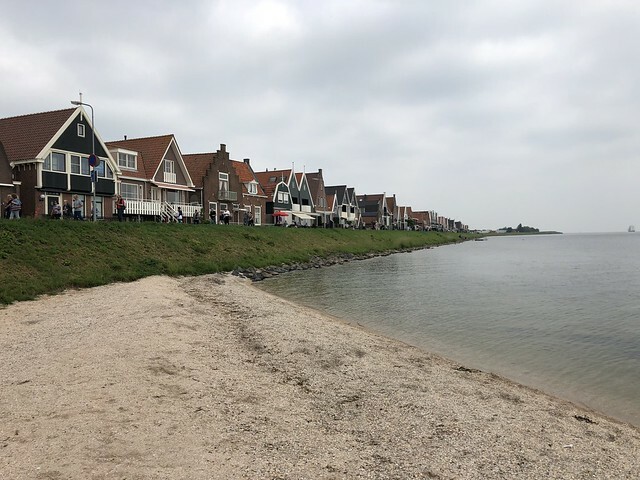 Our first stop of the day was in the town of Marken. 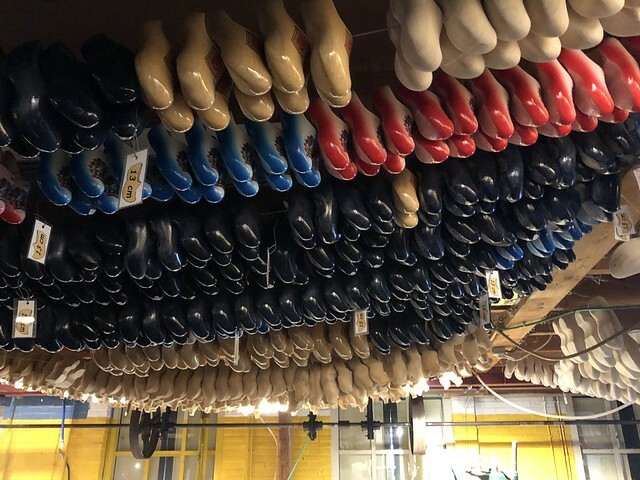 We visit a clog shop and got to see the owner make a brand new pair of clogs. 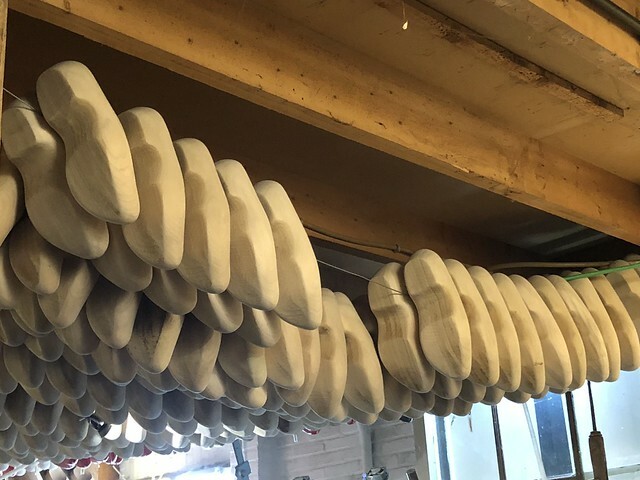 Back in the day the work was all done by hand, but now machines can whittle a pair of clogs in about five minutes. 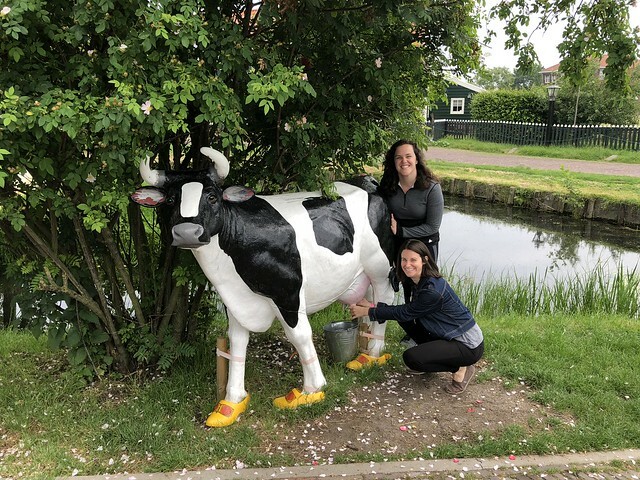 After the demo, our bus driver insisted on taking our picture with a cow statue wearing clogs. But he wouldn't just let us stand next to it, he told us we had to milk the cow. 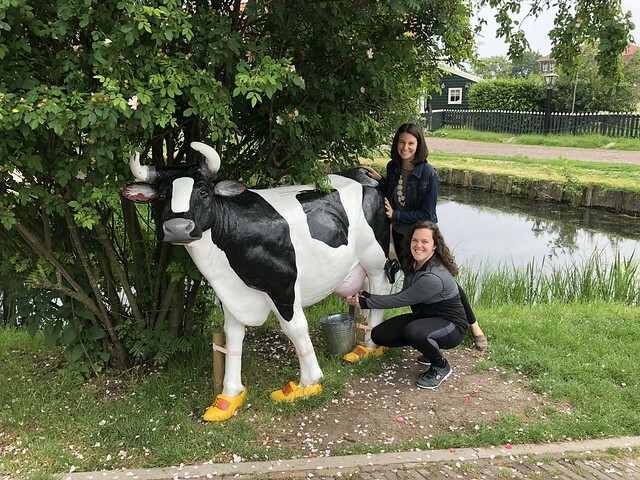 So here are the hilarious pictures of me and Meghan milking a cow statue. 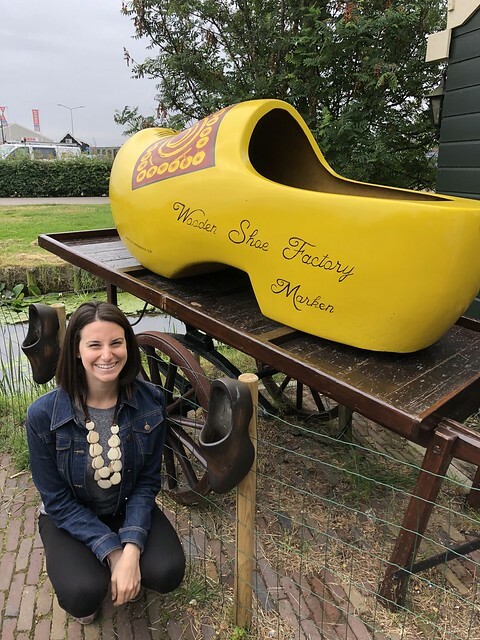 After our adventures watching clogs get made, we set off via ferry boat to Volendam, where we visited a cheese making factory and got to sample all kinds of delicious cheese. 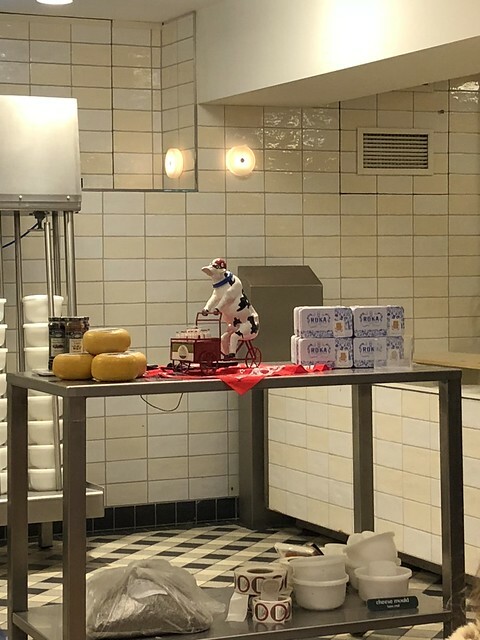 I lost track of all the many different varieties we tried, but I know we tried a cheddar that had been aged three years and a bunch of different Gouda cheeses. My favorite were the smoked goat and cow cheeses. Nom, nom. After stuffing our faces with cheese we walked around the little waterfront village. 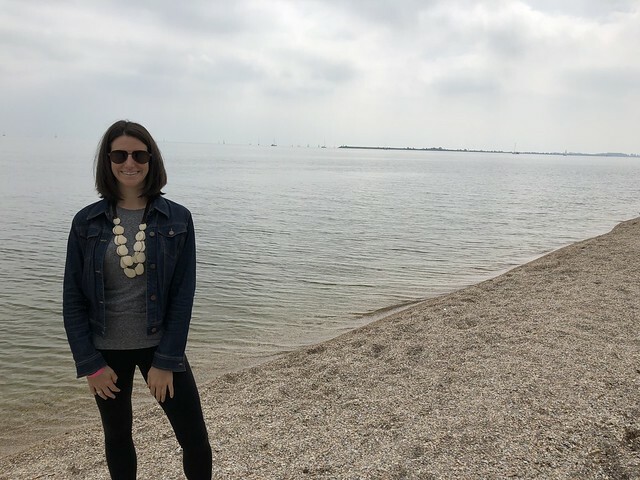 It was unfortunately a pretty cloudy day, so our beach pictures weren't the best. But it was nice to be able to walk around after all that eating. 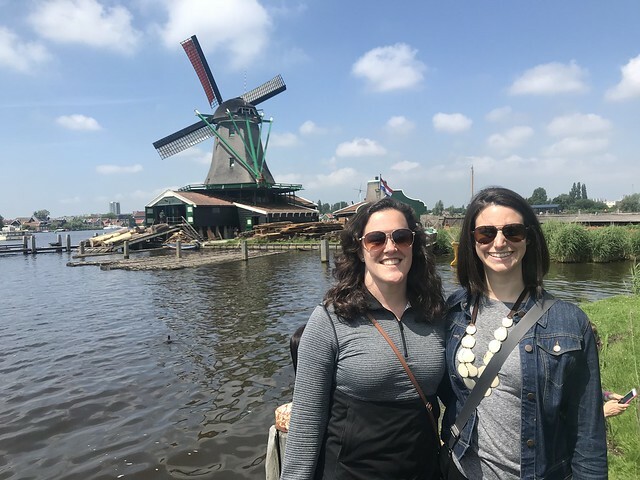 Our last stop of the morning was probably the one Meghan and I were most looking forward to: The windmills! The mill that we visited was in working order and is still used to make peanut oil. The miller gave us a demonstration of how the process works. 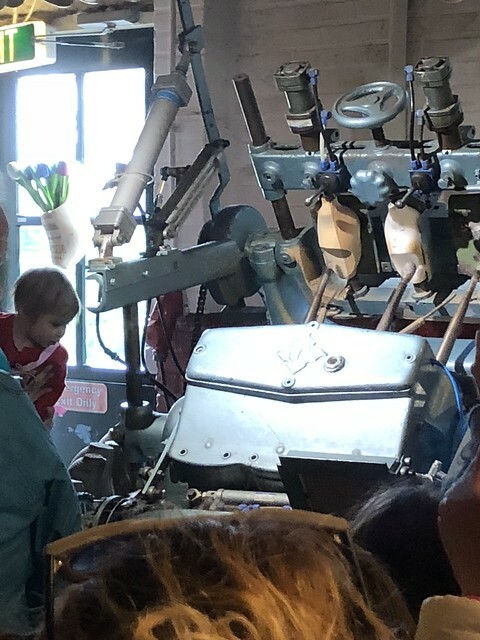 But we learned unsurprisingly that making peanut oil with a windmill is a long and slow process compared to how quickly it can be done in a factory. That's why so many of the Netherlands' windmills are no longer used and have been sold off. The windmills in this little countryside village were really pretty though. We got to climb to the top of the one we were in and spend some time exploring the little town. 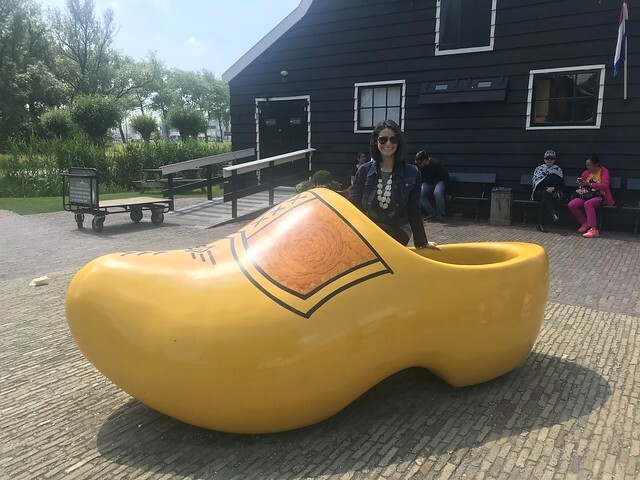 I found this giant clog. 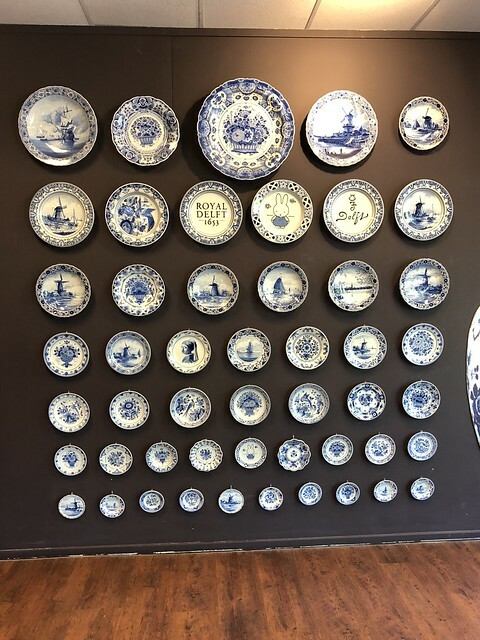 Our first stop on the afternoon portion of our tour was at the Delft Royal Factory where we got to see the famous Delft pieces being made. 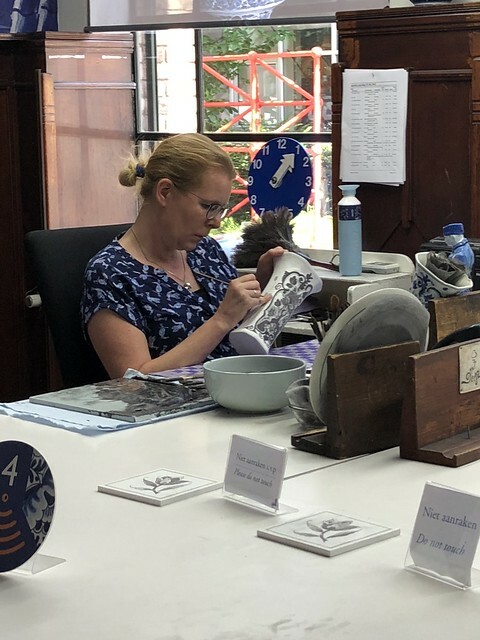 We watched an artist hand-painting a vase and quickly learned how we could not afford to buy one of the beautiful Christmas bells (because they were like $200+). 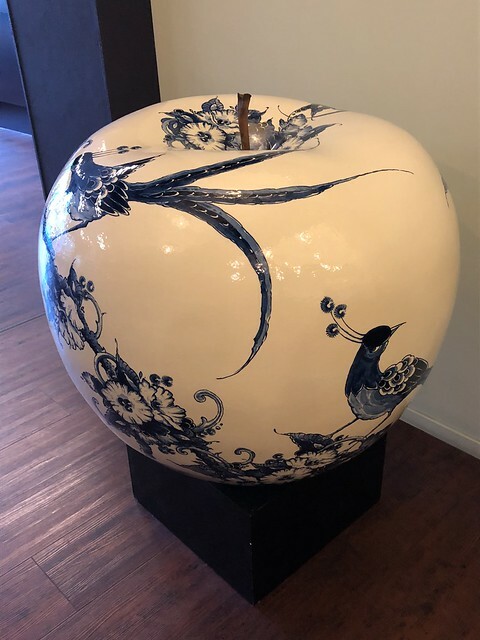 We spent some time exploring the town of Delft, and Meghan and I stopped to get a piece of the famous apple pie. 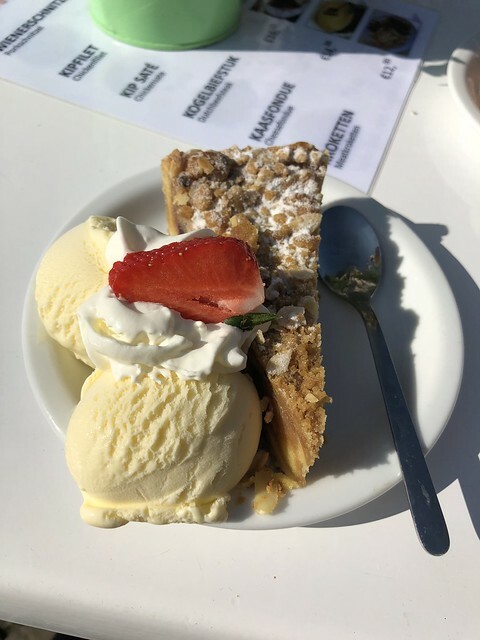 Here's my hot take: America does apple pie way better. 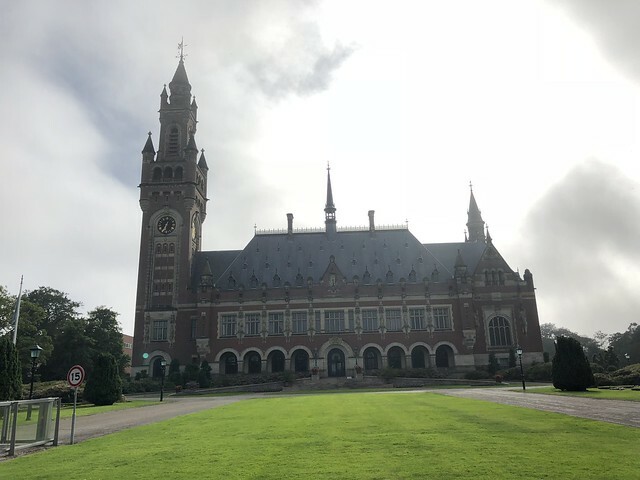 On our way back to Amsterdam, we drove through The Hague, stopping to see the Peace Palace. We collapsed into bed that night pretty exhausted after our long day, but hoped to get up early to do one last run around the city before flying home. 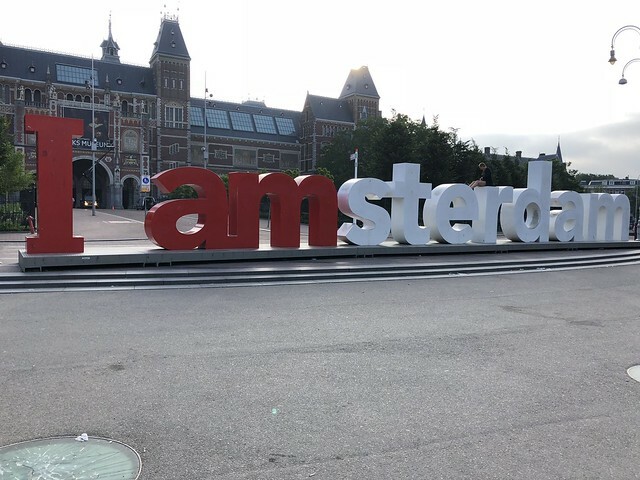 Our first stop on our run in the morning was at the famous I amsterdam letters. These things are crawling with people during the day, but in the early morning, we only had to contend with a handful of other people. The only downside was the lighting was not the best, but we made do. 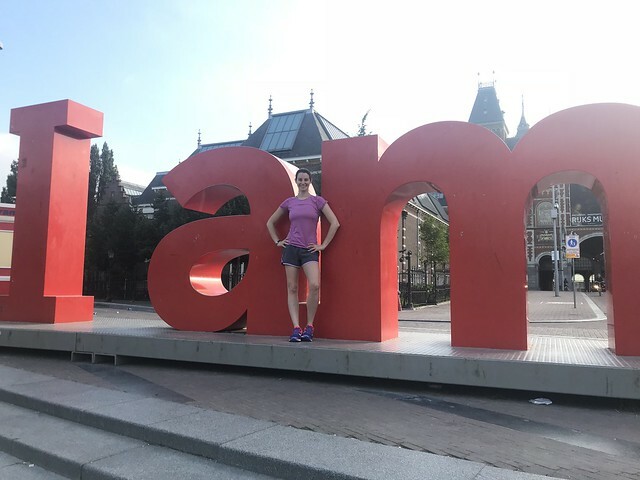 We continued our run along the canals, looping up through the Jordaan neighborhood before heading back to our hotel. In total we covered just over three miles. 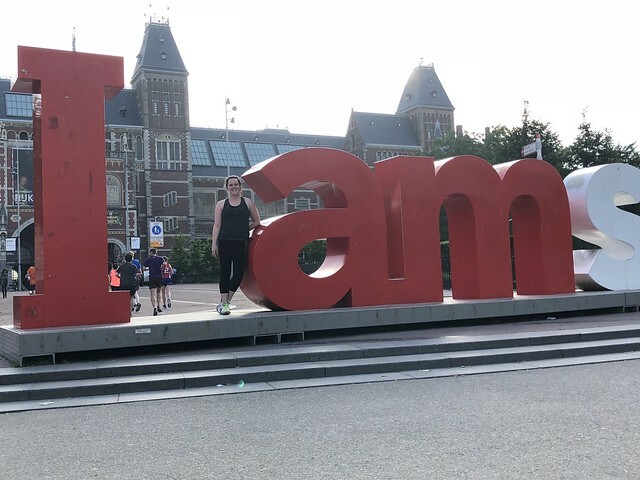 After a quick shower and a final stroll through the flower market, we grabbed our bags and headed to the airport to come home.